Veteran airman and stunt pilot Jimmy Leeward, 74, of Ocala, Fla., was among those killed while flying at a popular annual air show in Reno., Nev., Friday. Renown Regional Medical Center spokeswoman Kathy Carter confirmed that at least two others died, but did not provide their identities. More than 50 others were take to local hospitals. Leeward's P-51 Mustang, which he had named the "Galloping Ghost," crashed into a box-seat area in front of the grandstand at about 4:30 p.m., race spokesman Mike Draper said. Houghton said Leeward appeared to have "lost control of the aircraft,'' though details on why that happened weren't immediately known. Leeward, the owner of the Leeward Air Ranch Racing Team, was a well-known racing pilot. His website says he has flown more than 120 races and served as a stunt pilot for numerous movies, including "Amelia" and "Cloud Dancer." "They're more fun. More speed, more challenge. Speed, speed and more speed," Leeward said. 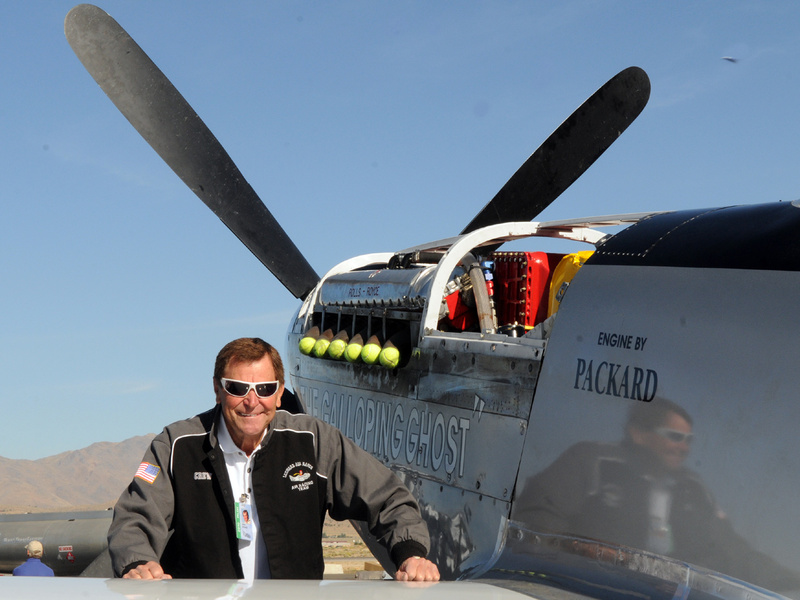 Mike Houghton, president and CEO of Reno Air Races described Leeward as "a good friend. Everybody knows him. It's a tight knit family. He's been here for a long, long time." The National Championship Air Races draws thousands of people to Reno every year in September to watch various military and civilian planes race. They also have attracted scrutiny in the past over safety concerns, including four pilots killed in 2007 and 2008. It was such a concern that local school officials once considered whether they should not allow student field trips at the event. The competition is like a car race in the sky, with planes flying wingtip-to-wingtip as low as 50 feet off the sagebrush at speeds sometimes surpassing 500 mph. Pilots follow an oval path around pylons, with distances and speeds depending on the class of aircraft. Leeward's family scheduled a Saturday memorial which was not planned as open to the public.